Most members of the malva family are great for bees; they have that classic open flower shape that lets the bees get into it and reach the nectaries at the base of the petals. This family (malvaecae) includes malvas moschata and sylvestris, which are both native to the UK, but also laveteras and hollyhocks. Another cousin is the 'marsh mallow', althaea officianalis that has a starchy root from which the original marshmallow confectionar was apparently produced. Most flower from the end of June through to August with the malvas first and the hollyhocks and lavateras a bit later. 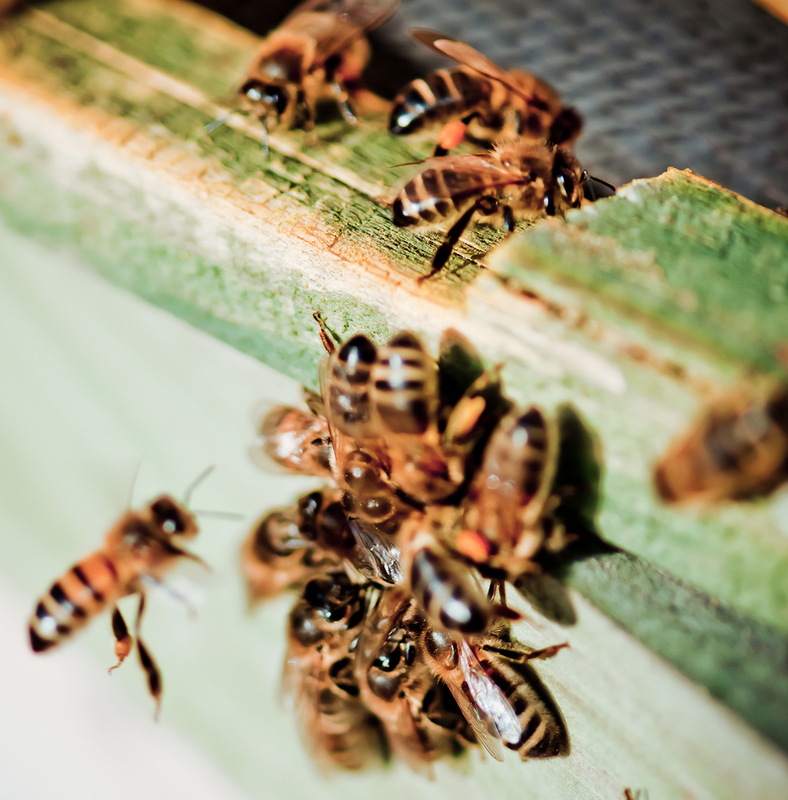 The bees are mainly after the nectar but on the way to getting it they often get covered in a generous dose of white pollen too, and so take that with them to the next flower. I find that moschata and hollyhocks seem to be the most attractive to both quantity and variety of bees. This picture shows a honeybee getting a pollen bath on malva moschata which we sell because we find it to be one of the best. This week has been brilliantly mild for February and the hellebores in the garden have burst into flower. The bees are now travelling across from their field and loving the great loads of pollen the hellebores provide. I stood and watched for quite a while yesterday and the bees seem to spend over a minute in each flower and come out covered in pollen. I would not normally advocate hellebores for bees as they are non-native but in the right soils (heavy) they are very hardy and would probably stand harsher conditions than the cosiness of a well tended garden. So I might have to rethink my priorities and consider how these would work in a field-based bee plot. Anyway, I am glad of the boost they give both garden and bees right now.The flowers can have up to 60 stamens which unfurl a few each day and ripen with pollen. 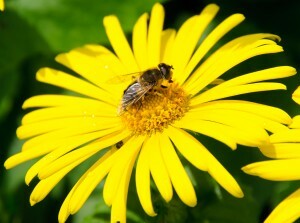 The flower will continue to mature over several weeks offering really good value for the bees.